pet is likely to have. At Russell Vale Animal Clinic, we have been offering two levels of desexing care for all pets since 2000, but even so, it still raises eyebrows, and “really” comments from many new pet owners when they are doing the “shop around” phone call for a desexing price. I can only think this is so because most pet owners still do not understand what the surgery procedure actually involves, and as such, do not realise that things can and do go wrong. Fortunately, complication rates are rare at Russell Vale Animal Clinic, but they can happen to the best of us. Desexing for a female pet is a full ovario – hysterectomy – we surgically remove both ovaries and both uterine horns. It is not a “tying of the tubes” as occurs in women. 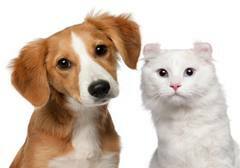 For a male pet, it is an orchidectomy – we surgically remove both testicles. It is not a “vasectomy” as occurs in men. It is a procedure that is performed once, and is usually the first surgical procedure under anaesthetic that your pet will ever under go. Just because it is an everyday, routine, common procedure does not mean it is any less serious than any other procedure which involves an anaesthetic. What are your desexing packages? And why do you offer both? We have a “Standard” and “Deluxe” (otherwise known as my pamper pack), which gives you, the pet owner, a choice in the level of comfort. 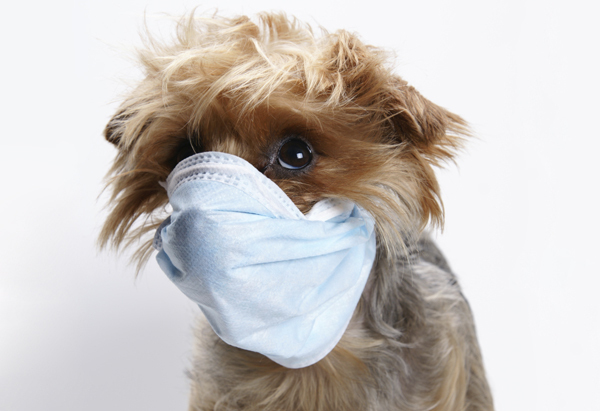 The Standard package is similar to what many other veterinary hospitals offer, except we also include post operative pain relief (first 24 hours) and we also do intradermal (dissolving) skin sutures for your pet’s comfort. There is no need for 10 day revisits for suture removals. Quality pain relief is not an “extra” option at Russell Vale Animal Clinic. However, take home pain relief is an extra option, if you need that extra piece of mind. Our Standard desexing is suited to those pet owners on a limited budget, but still demand quality. The Deluxe package is unique to Russell Vale Animal Clinic as it provides so many extra features - it really is a “pamper pack”. It is more suited to those pet owners who want the very best for their family member. What do both packages offer in common ? They both include a full physical examination, as well as the hospital stay, individual anaesthetic plan including a pain management plan. All desexing procedures are performed in our state of the art operating theatre, using modern anaesthetic medications. The pain management plan includes sedation before the procedure, as well as pain control during and in the immediate recovery time. It also includes medications which offer 24 hours of post operative pain relief too. Detailed home care notes as well as a Certificate of Desexing will be given to you also. Oops – I almost forgot – of course it includes the actual surgery itself. All equipment is either single use or autoclavable, and all sutures materials are individually packed for maximum sterility. Dissolving skin sutures mean no need for uncomfortable external sutures, and nothing for the pet to lick or tug at, and definitely no need for suture removal in 10-14 days as occurs in other veterinary hospitals. If the Standard package is so comprehensive, why should I choose the Deluxe package? In other words, is it really necessary? As a vet, I believe every pet deserves the “deluxe” package, as I can see the difference in how they cope with the anaesthetic, and I know the difference in the way they recover and feel over all. And whenever my pets needed to be desexed, I also chose the deluxe package for them. Will you notice the difference when you come to pick them up? Probably not. But you pet will experience the difference. In short, the Deluxe “Pamper Pack” is a comprehensive, inclusive package which is unique to Russell Vale Animal Clinic. What are the “extras” in the Deluxe Package? 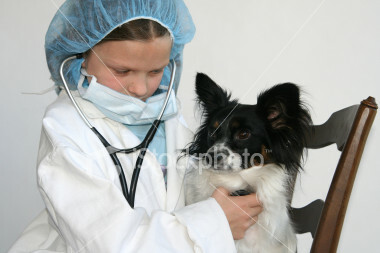 o where we check your pet’s liver, kidneys and blood sugar. We check the blood count, and make sure that there are not any hidden surprises. Perfectly healthy looking pets can have congenital liver or kidney problems, which can mean death under anaesthetic. o With our cats, the pre-anaesthetic blood tests also includes the Feline Triple – which is Feline Immunodeficiency Virus, Feline Heartworm Disease and Feline Leukemia Virus. · Intravenous fluids – or “going onto the drip”. o An intravenous catheter (known as cannula in the human side), is placed, and sterile intravenous fluids are administered. This helps support your pet before, during and after the anaesthetic. o The fluids flush the medications through the kidneys, as well as maintains blood pressure throughout. o As part of our pain management program, local anaesthetic is applied to the areas which are ligated or cut, to give extra pain relief during the recovery phase. o Injectable pain relief is given before and after, which offers up to 24 hours of pain relief, but we also dispense extra medication to give that night (for a comfy night’s sleep), and for the next few days also. o We do know that pain slows healing, and we also know our pets hide their pain. o We do know that all surgery is painful and that our pets feel pain as we do –they just don’t complain as loudly as we do. o A full dental examination is performed in all pets. But we do know that toy breeds commonly have dental issues, such as unerupted teeth, missing teeth, retained baby teeth (just to name a few). In these breeds, full mouth dental radiographs are required to check the oral health. § This is perfect for all brachycephalic dogs (such as pugs, Boxers, Shih Tzu’s) where we know that unerupted teeth, missing teeth or extra teeth are common. § This is perfect for all toy breeds where unerupted or missing teeth are very common. § The most common dental procedure performed is the surgical extraction of retained baby teeth, and extraction of unerupted first premolars. § We were the first in the Illawarra to offer dental radiographs, and we remain the most experienced. § Hip Dysplasia radiographs are the “Extended Frog Leg View”, and can be diagnostic even in young pets. Identifying this problem early, increases the options available to make your pet more comfortable long term. You need to allow 20 minutes at "go home" time, to allow Dirk (our vet nurse) to go through our discharge information, and to address any questions or concerns that you may have. We care enough about your pet to give you the time and the information you need to care for them in the crucial post operative time. Do you have any other questions which the information here did not answer? Feel free to email me or call us directly on 0242845988. I am Dr Liz, the mad vet of Russell Vale Animal Clinic. We love looking after all animals, and try to do the best we can for each and every one, even for something as "routine" as a pet's desexing. Are you ready to book your pet in? Then you can book online or call us on 0242845988.